Steven (Chicagoland, United States) on 24 July 2012 in Plant & Nature and Portfolio. 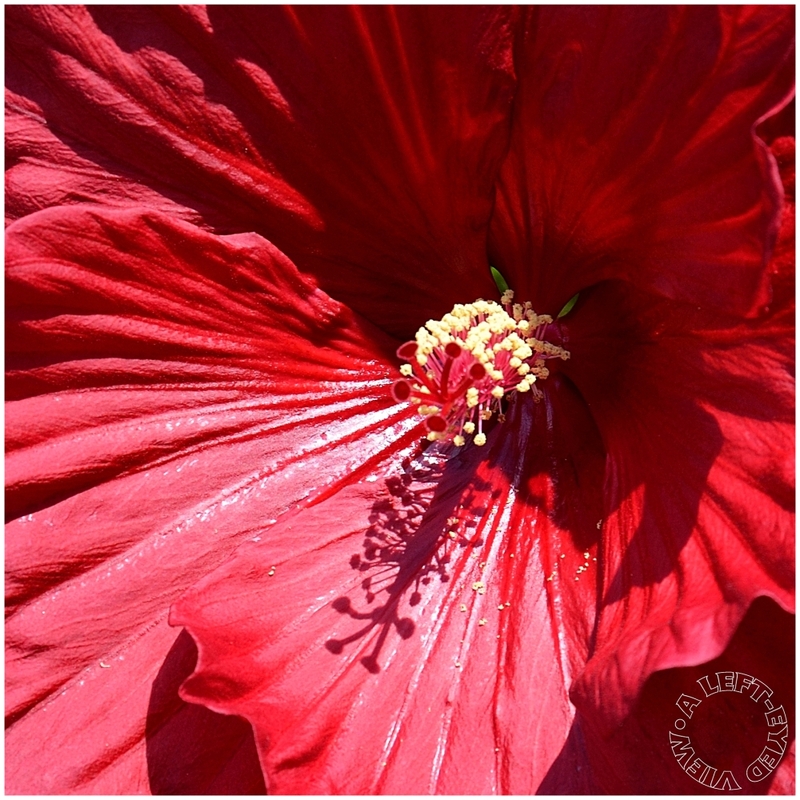 Red hibiscus captured on July 15, 2012. Like looking into Creation . . which I guess it is, in a way. A stunning macro. THe lighting is wonderful. A beautiful spill of light into shadow, all of the detail exploding outward. Excellent - the level of detail you've captured is fantastic. Well done! So beautiful. Love your composition. Absolutely phenomenal, Steven. I LOVE the shadow of the stamen (or whatever they call it)! Just stupendous sir! A gorgeous example with rich colors. Fantastic POV! I love the shadow! All flowers have a personality, some bold and others timid.... this is hot and sassy!! I would love to see that Hisbiscus tree, it must be a beaut! A stunning true red with fantastic light and shadows.... so beautifully captured Steven, it's a winner!! Gorgeous details and lush red ~ fantastic photo! Beautiful light pouring upon an amazingly red pool! That is gorgeous and I love the title. stunning closeup, wonderfully intense colour !! A great image of 'nature's velvet'. Very crisp details and the lines pull the eye right onto the center stage. Overall color and lighting are superb. NICE!! I love the color and the shadow.